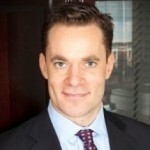 Calum Ross is a Scottish born Canadian executive and speaker. He is a passionate financial advisor, national leader and speaker in the field of mortgage banking, financial planning, and real estate investing. With over seven years of post-secondary finance education from top globally ranked business schools, and extensive training in the field of personal finance, there is no mortgage professional better qualified to service the mortgage and financial advisory needs of sophisticated consumers and people serious about wealth building and asset preservation. He is regularly consulted by pension funds, government policy makers and federal mortgage insurers about matters relating to the mortgage and real estate market.